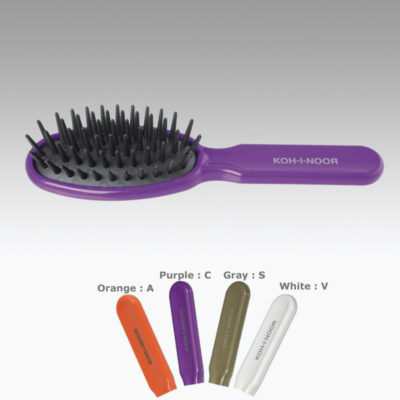 The modern style brushes of the Kolorissime and TO DAY Collections offer all the great type of brushes and combs that Koh-I-Noor’s other collections have but at very affordable prices. The brushes and combs come in fun and vibrant colors. The TO DAY Conika Detangling Brush as it is truly the best detangler on the market and should be one of your styling tools. 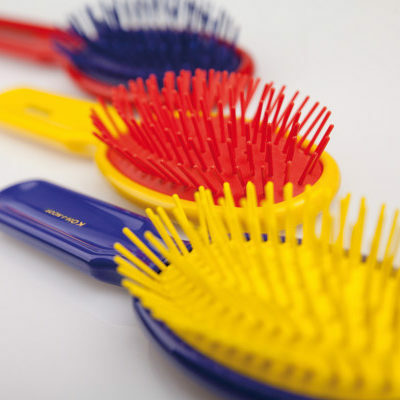 All brushes and combs are available in four different colors: purple, gray, white and orange.